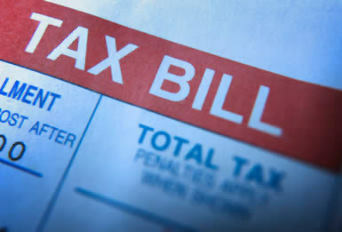 Free Tax Help is one of the most sought after types of assistance at the beginning of each year. I’ve prepared a list of 3 Steps to get the most assistance out of the IRS Questions.org website based on my experience the past couple of years. When January 1st rolls around we start planning on Tax Time receiving our W2 Forms and any other Tax Documents, to enable us to qualify for as many Tax Deductions as possible. Having to deal with the IRS is a part of life in America. Reducing what we pay for Taxes is done through the use of allowable deductions. Minimizing Taxes is always important. I’ve received hundreds of various questions related to different parts of the Tax Code. Some of the stories I’ve heard have been heart wrenching. When people have children, get divorced and end up disagreeing over who gets to claim the children, it’s a shame. More taxes are paid, fines must be paid, the Law is broken, all because they lacked proper Tax Planning Information. Reading these questions and answers can help. Other questions are simple like “How much of my mileage can I write off driving to work” or “can I deduct clothing”. I’ve read every single one of the Questions anyone has ever left on this site and made a point to answer a large part of them. There has been circumstance such that I have even personally emailed and helped individuals where the damage for lack of IRS Tax Information would be great. Check out my Free Tax Help Steps listed below. Go to each of the 5 postings and scan all the way to the bottom, answers posted by me are listed as Admin. Many IRS questions are not grouped at this time so read all the way to the bottom. It’s important to check all 5 as they are not grouped and easy to scroll thru. The number of questions is listed at the top. Older questions are on top, newer on the bottom. Basic Tax law has not changed much in the past 2 years so the top irs questions and answers are still valid. If your question’s answer is not here then go to the IRS Questions home page and look for the posting with the least number of comments and add your question, this is where I look first. If you can include details that others may benefit from it is more likely I will put the time into researching and answering with specific links. Remember I want to help as many people as possible and at the same time focus my IRS Research to help you. Be sincere and personal. This is what drives me to want to help you. Even though I look through the IRS site every few days, I think of how unorganized and difficult it can be to find things. It’s getting easier for me but that’s after very many IRS Related Searches. Also, I do not share your email with anyone. I answer all questions by name from me to you. So when you come back search for the name you used when posting your question. It’s also possible I’ve answered someone Else’s question and it also answers yours. If you do find an answer to your question here please comment and let others know. Remember this site exists not only from my good will but because of my sponsors. It’s possible they have the answers you are looking for if I do not. You can always come back to see new tax questions and answers as I learn and share more. In the future I’ll be adding video of me answering some key IRS Questions. Share my site with others by email, tweeting, stumbling, digg, face book or any other way. I would very much appreciate it and your friends may thank you for caring. NOW for your ANWSERS, begin reading the comments here IRS Questions and Answers Online . As a final point, I am not a licensed CPA and I can not give legal advice. I am not giving “Legal Advice”. It is your responsibility to know the Law. I am simply taking the time to read your situation and look up, read and provide link to what I believe would be the best information I can find. I then summarize what in my opinion as a layman what the document says as a response on this website. This is no different than a friend looking up something for you. The final say must come from a licensed TAX Professional. I took the time to read your instructions and found out that I can claim my daughter as a deduction. Thank you for the free advice I didn’t have any money and didn’t know who would understand my problem. The company I worked for closed down, I cannot get in touch with anyone to get my W2, what do I do? The IRS form 4852 specifically addresses the issue of company closed down or out of business and did not fullfill thier final administrative duty by sending you a copy of your W2. The best way to prepair for this is to locate your 2008 pay stubs. Using the infomation they contain you will need to estimate your wages, Social Security and Medicare taxes paid. In additon you will be asked to estimate your Federal, State and Local Taxes withheld. H & R Block filed my tax return for me, they put down the wrong address, how can I contact someone to give them the propert address? Just a reminder, when we sign our income tax returns we are assuming responsibility for all the information it contains. That is in a pure legal sense. Remember this for next year and take the extra time to read it thru no matter who does your taxes as ultimately you are responsible for them. That said, in practical terms errors are made all the time. My neighbor is 87 and donates his time helping H&R Block do taxes for low income people. He is one of a small army around the country doing this. So, taxes are done by people of various qualifications all the time. What you need to do is to go to H&R Block and report the error and request an amended return. Who ends up paying for it (not much) will depend on how good you can negotiate with them. Remember my first paragraph above. If you are a repeat customer then I think it will go well. Whatever the case they can straighten it out so don’t get too worried unless a lot of time has gone by in which case someone else might get your check mailed to them. Judith, good luck and act quickly. I had my disabeled sons 2009 taxes done. By mistake the person doing it claimed my son as a dependent. I than had mine done and also claimed him as a dependent. It was sent in on intetrnet and was rejected. Im filing for an extention. my son s has gone in and he has received his check back. Can i resubmit his taxes again and eliminate him on his as a dependent so that i can claim him? How discouraging It must be to be so close to being done and have to go back and reenter another tax return. Your question about both of you making errors on your tax returns is relatively straight forward. Each of you would need to file an amended return. In your case you would be asking for additional money back from the IRS. Therefore there would be no penalty on your return. In his case his amended return would state that he was overpaid and he would have to make a payment back along with the amended return. Linda, it is good that you are reminding your son how important it is to be right with the Government. Good Luck.